Eurozone equities received a late boost from rising US stocks to emerge almost unscathed from Friday's session despite worries about Italy's finances, Chinese growth and rising global interest rates. Even Milan's long-suffering stock market recovered from early losses after EU finance chief Pierre Moscovici said Italy's financial situation presented no danger of contagion to other countries. However, Italy is facing higher borrowing costs as investors sell off its bonds. In the secondary market, the yield on 10-year government bonds reached 3.726 percent, its highest rate since 2014. Brussels says Rome needs to cut the deficit in order to begin reducing its massive debt, which exceeds 130 percent of annual economic output -- way above the EU's 60 percent ceiling. The Frankfurt and Paris bourses ended Friday's session with small losses, while London rose. On Wall Street the Dow index also posted gains in the late New York morning, after losing 1.3 percent on Thursday, with a number of strong corporate results bolstering sentiment. But after intra-session volatility wrong-footed many investors in recent Wall Street sessions, Briefing.com analyst Patrick O'Hare cautioned that "how the market opens today won't be as important as how it closes". But worries continue on several fronts, analysts said, including an expected series of Federal interest rate rises. "Many investors have not experienced a rising rate cycle and will find it hard to adapt", said Hussey at Manulife. Investors fret over rising borrowing costs because they impact on loan repayments for both businesses and individuals -- and affect consumers' disposable incomes. Earlier Friday, Asian stock markets traded mixed, with Shanghai bouncing back from early losses despite data showing Chinese economic growth slowed to its weakest level in nine years. The world's second largest economy expanded 6.5 percent on-year in July-September as a campaign to tackle mounting debt took its toll -- alongside trade frictions with the US. The growth figure marked the worst performance since the start of 2009. Shanghai equities nevertheless finished the week with a rally after a rare joint intervention by some of China's top financial officials. However the pronounced slowdown weighed on markets elsewhere because China is a crucial driver of global economic growth. 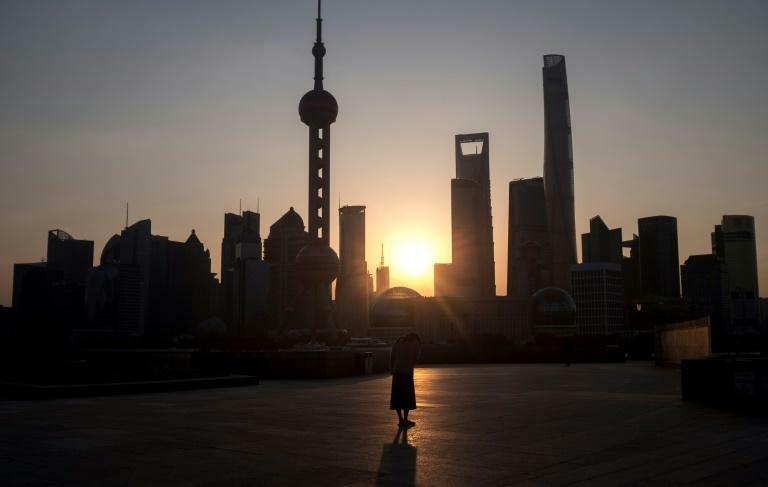 "The Chinese economy is slowing -- but that's down to a deleveraging process and concerns about trade and a global slowdown, as interest rates rise," CMC Markets analyst Michael Hewson said. Oil prices rebounded after Thursday's sharp losses caused by a surprise jump in US energy stockpiles.